An innovative mind should not be judged by the degrees it possesses, and Mysore-based Santosh has proved it. He holds a job at a pharmaceutical company to support his family. But when he is not working, he spends hours on his hobby of creating new motorbikes. He has now unveiled his latest creation, India’s first electric concept bike. The bike is known as Nisttarkya which translates to ‘unimaginable’. It weighs 40 kg and runs on a 36 V, 350 W. The bike is juiced up by three 36 V rechargeable batteries. 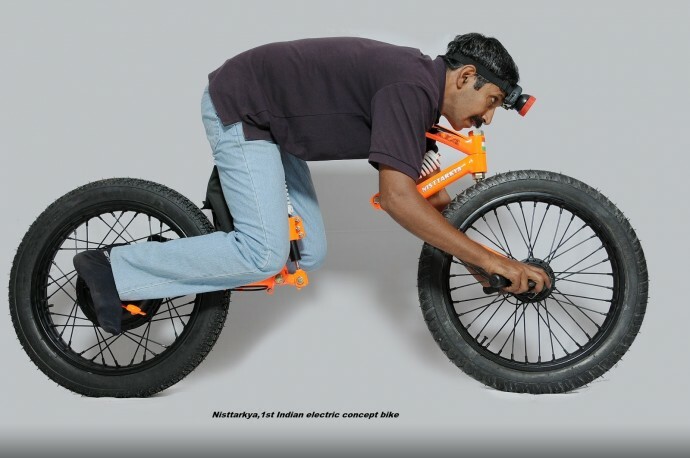 Santosh says that he built the bike using parts from old bikes and second-hand equipment. From the looks of it, the design of the Nisttarkya looks like a slimmer lightcycle from the Tron movies. 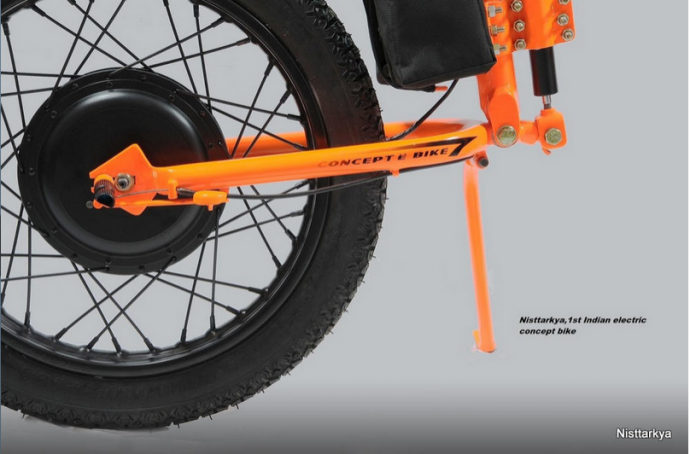 The rider can direct the bike using the handlebars that are placed on the front wheel. The ride position may appear weird and may also look physically taxing, but Santosh said that being a concept, the design was supposed to be ambitious. He adds that companies can take inspiration from his design and create a more user-friendly design. It took Santosh about Rs. 60,000 to create the bike while being employeed in a full time job. He has also received mentions in the Limca Book of Records for his previous bike called the Moosshiqk which is the smallest electric bike in the world. So if you wanted to build a dream bike of your own, but are worried that you don’t have an engineering degree, well then Santosh can be your inspiration. Go ahead and create your own Nisttarkya.